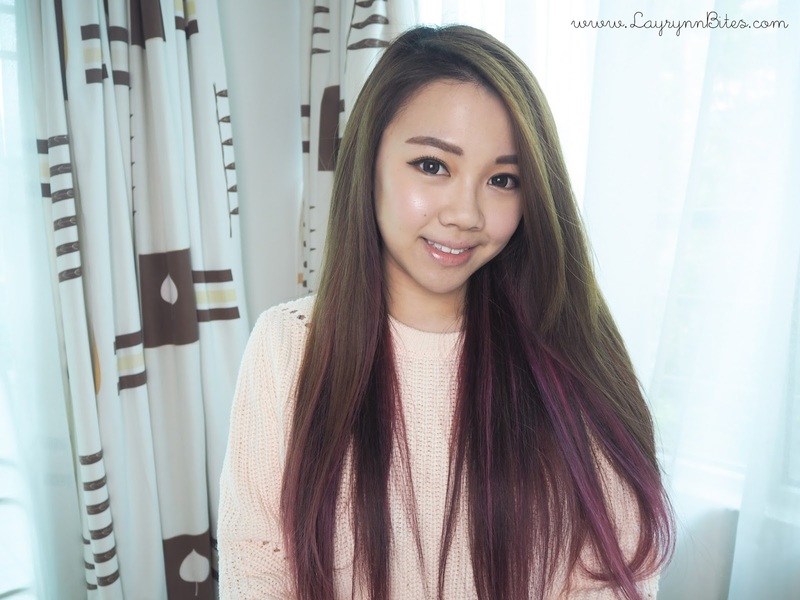 I'm so excited to share this post to you guys as this is my first time doing hair care review! my dip dye / ombre hair colour more often than usual people. 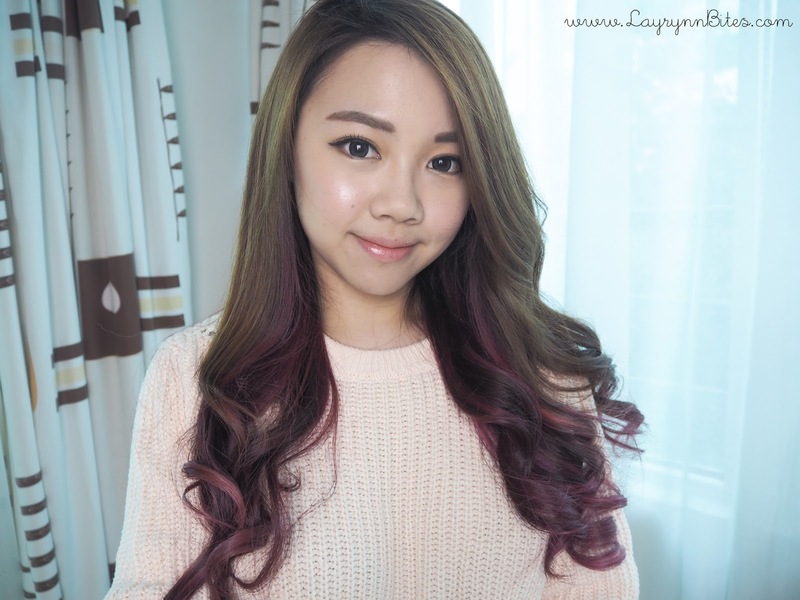 So I couldn't skip the route to bleach my hair to get my desire ombre / dip dye result. Thus, I always choose wisely when comes to shampoo and conditioner for my hair! I'm so glad that I received this parcel from Tsubaki Malaysia the other day to try out their latest series. 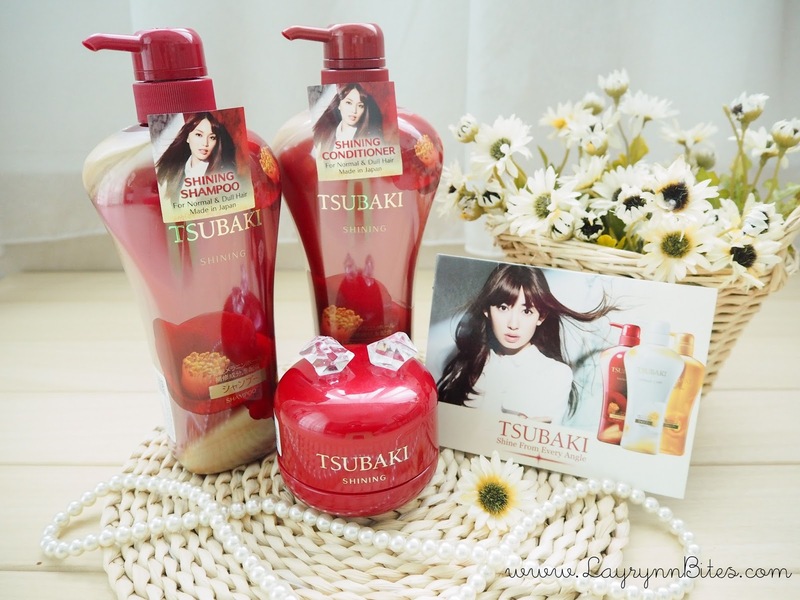 These are the new series of Tsubaki's Shampoo with improved formula of Camellia Oil. I hope it could helps you a lil before you've made your decision. 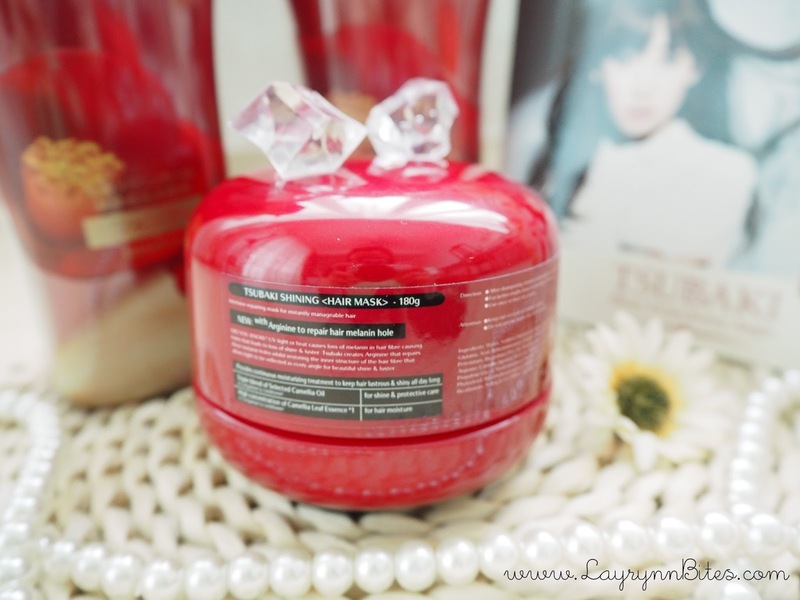 Specially for dry, permed, sun-damaged, colour-treated and coarse hair. Helps to healing and maintaining healthy hair, especially for the brittle hair, split ends and dryness. Specially to infuse volume, sheen and moisture hair for fine, dull, dry or thick hair. Helps to rejuvenating overworked, listless and brittle hair. Specially for hair that need deeper cleans and restoration for scalp's condition. Helps to remove dirt, sebum and residual hair products from scalp. Reduce scalp sebum secretion for longer freshness. 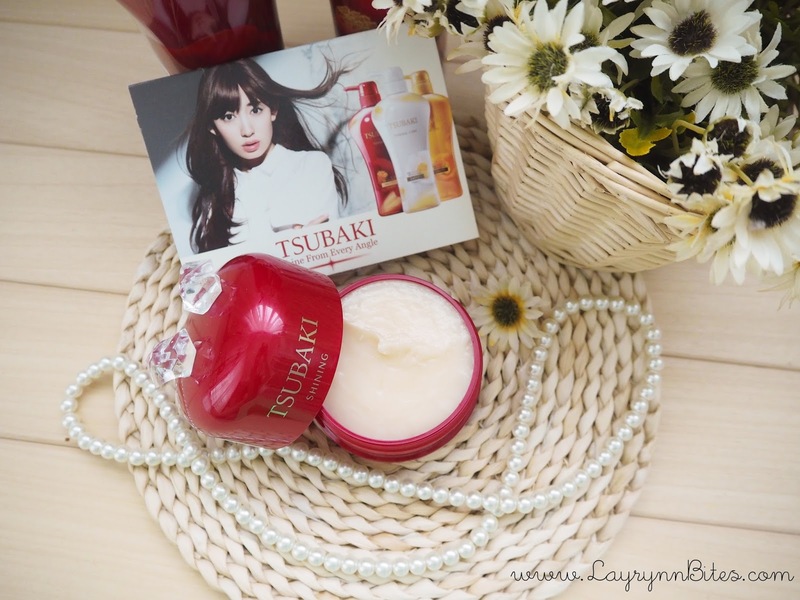 Tsubaki first launched in March 2006 in Japan. Japanese believes that Japanese camellia oil has been responsible for classic, legendary beauty of Japanese hair for centuries in Japan. Tsubaki or camellia is recognized symbol that embodies Shiseido's spirit of pursuing optimal beauty. Searching the key for a beautiful healthy hair, softness of scalp? 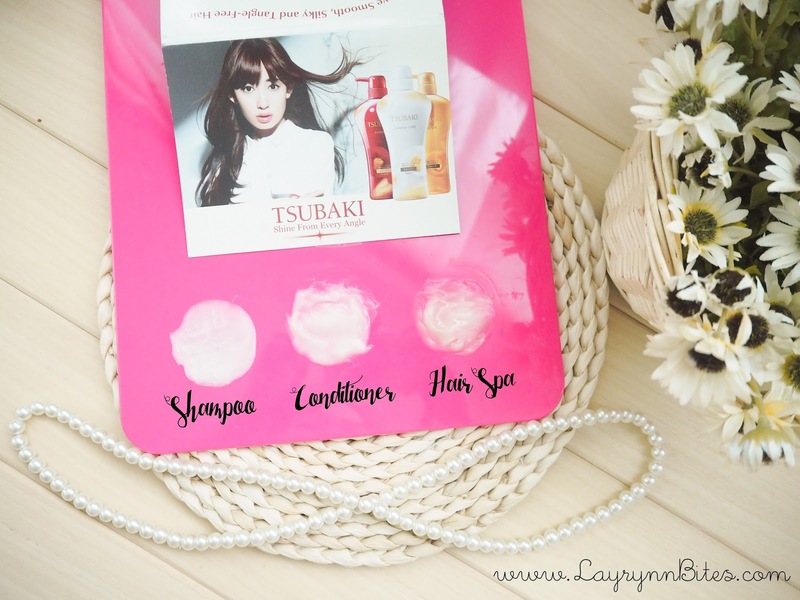 The new series of Tsubaki's offers the precious Camellia oil for highly restorative and rejuvenating effect on our hair and scalp to create this beautiful foster foundation for hair. Camellia oil is an essential that claims to improved the strand of our hair to be more elasticity by giving us stronger and healthier hair. 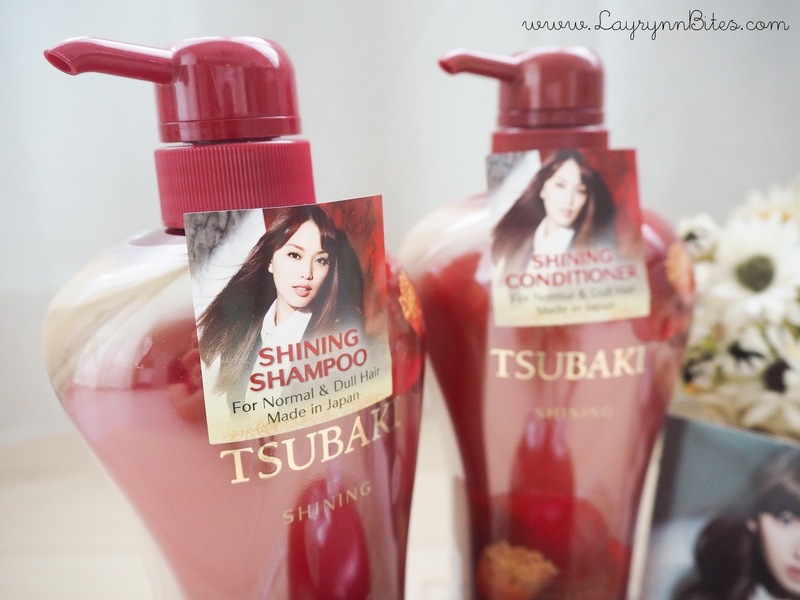 I received the sets of shinning series, which consist of shampoo, conditioner and hair spa. They smell so so so amazing! The smell flows all over my living room when I 1st opened it. Shine & Moisture - For silky manageable hair with satiny smooth texture. I love the texturing and the thickness of the hair mask. Not too thick and oily that feels irritates when you washing off the hair mask. The diamond stone is just a props yoh. 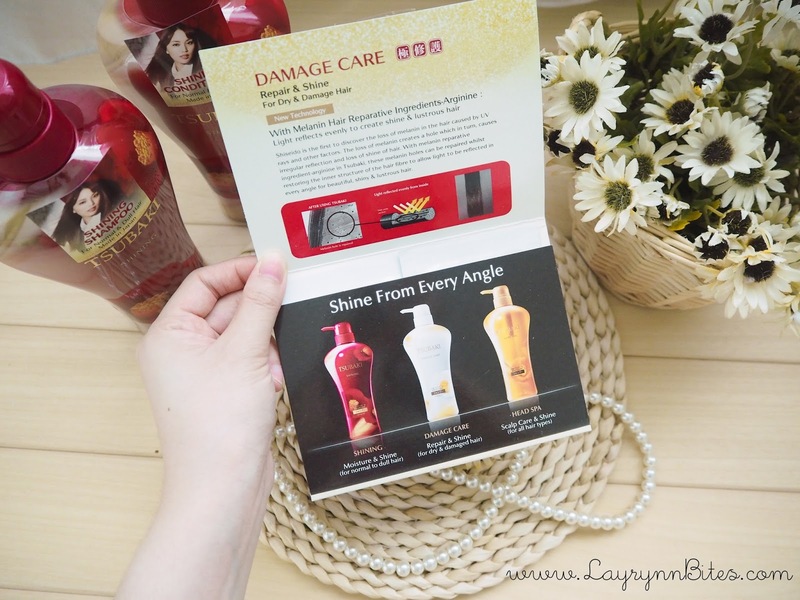 It's so sweet that they even include the sample pack of damage care series for me to try out! I just love the smell so so much! All the shining series product's smell is so amazing. Featuring the texturing and colour of the shining series. 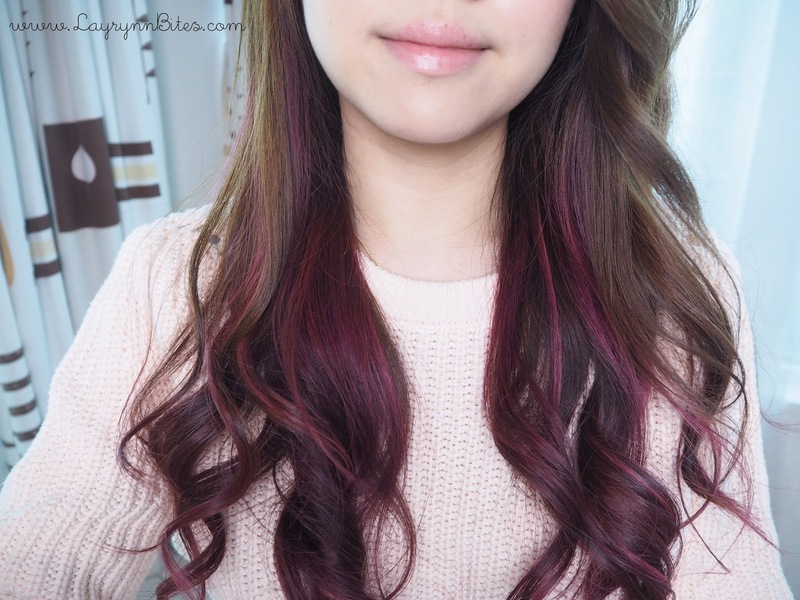 I have dry split end as I dye and bleach often for my ombre / dip dye hair. This is my 1st time result after trying out their shining series shampoo, conditioner and hair mask. Before : Dry, dull and obvious split ends. After : Healthier and more shining look than before! Amazing that my split ends less obvious too. 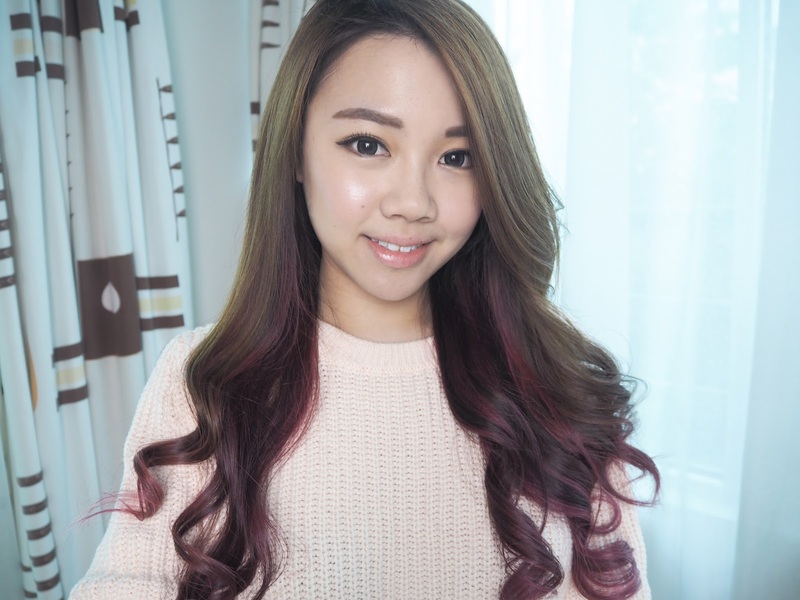 Inner Hair : Looks more moisture and fine after 1st hair mask pampering session. Done blow dry my hair after washing and pampering my hair! I really love the result. My hair looks so healthy, shining, soft and silky look. For my personal opinion, having soft and shining straight hair is hard to achieved. Curling it? Looks perfectly amazing too! Having shining and soft hair is no longer a costly pampering now. All you need is hardworking and consistent! What's your secret to have shining hair? I'll pick my favourite 10 to try out this awesome product! Remember to tell me what you feel after using it. 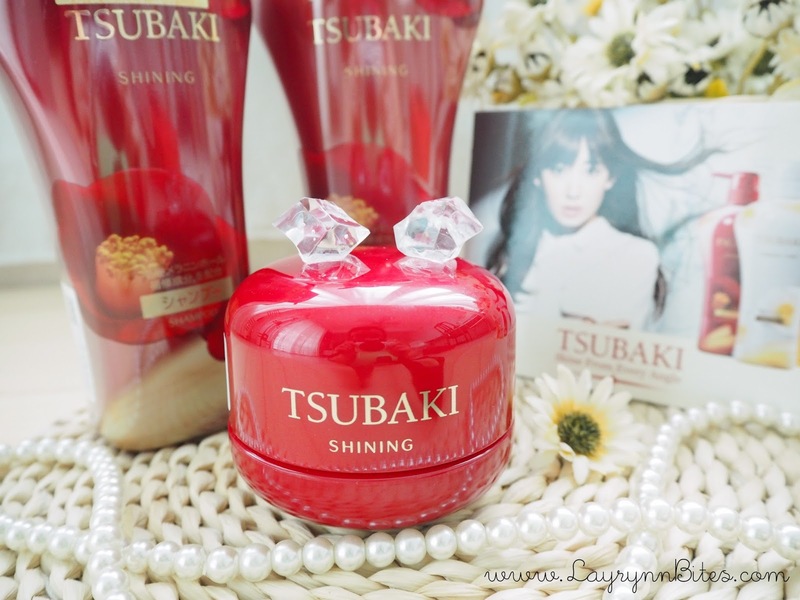 Tsubaki are available in all Watson's, Guardian, Aeon, Sasa & Tesco outlet in Malaysia. Hair mask is a must! I do it at least once a week~ But... I have a little tips~ After hairmask remember to finish rinsing with cold water for one minute. 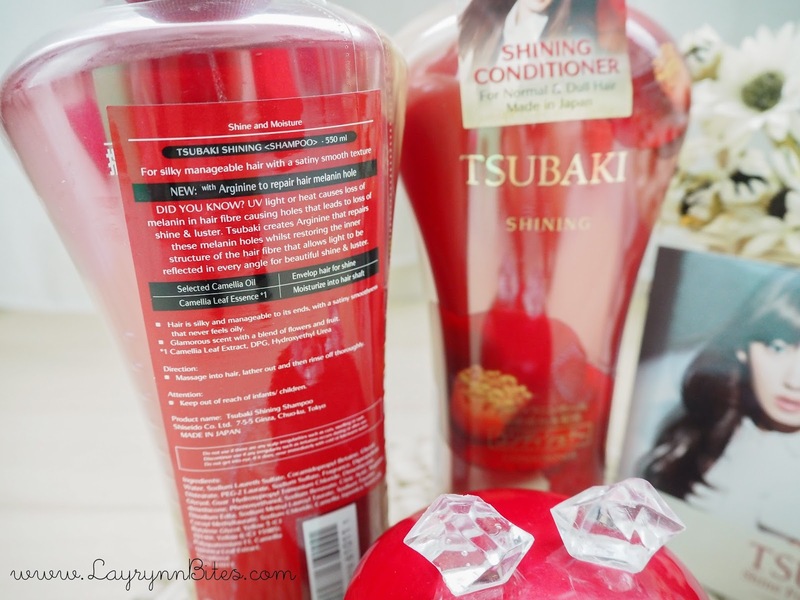 Your hair will definitely more shiny! Hair Treatment once per week & Massage softly after apply hair conditional. Not so much of a secret but to ensure my hair stays shiny I try to get my daily doses of vitamins A and E through nutritious food, never forget to apply conditioner onto my hair, incorporate a hair mask into my regime every week or two and lastly ensure that I wash everything off my hair with cool water as it closes the cuticle so that light reflects off the hair and make it more shiny! while my home remedies for hair, I always using a heat protector spray to protect my hair before doing ironing hair, put hair oil before blow and it will gives a shiny and soft after it and for sure I will using the coolshot when I blowing my hair..
apply leave-in conditioner to the hair ends after every hair wash and coat deep moisture hair masque twice a week. My hair is very dry every time after washing it. I don't really do much to my hair because i don't really know which products are good. So i just apply conditioner after shampooing my hair. After my hair is dry, i spray sunsilk co-creations' hair oil. Hello. I had dye my hair once and never had any rebonding on my hair but still I used to use conditioner at least 2 times per week to keep them healthy. But the result doesnt seem to working on my hair. So, I think this is the chance for me to trying on this new product! Hope I will be one of winner :) Have a good day. wow, the result is so awesome. I can see the difference before and after you applying this hair care. 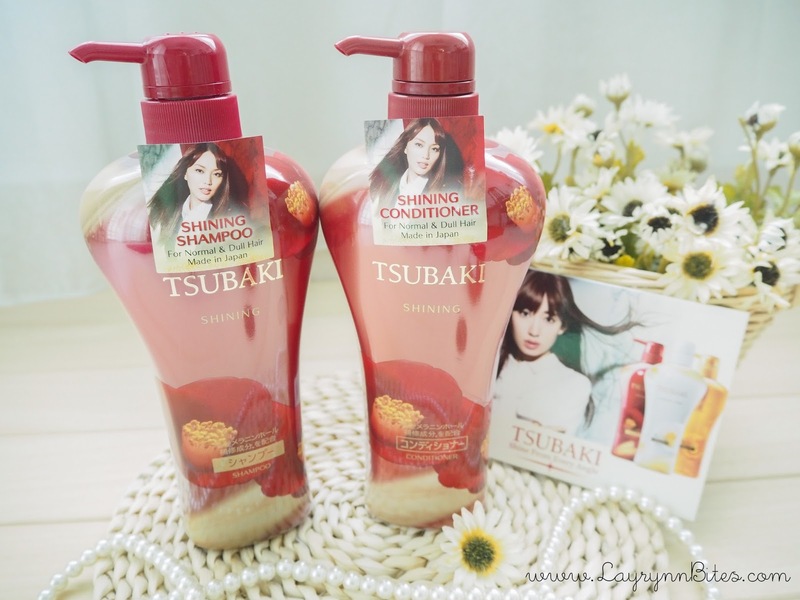 You know I'm still looking for the best hair care ever and I wanna have to give it a go on this Tsubaki shining series. Never using the high heat when using hair dryer and of course I'm applying conditioner to make my hair shining and healthy. Not to forget hair mask once a week.